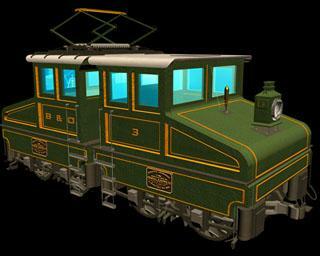 Below you will find the various locomotives that will be in the game, with comments from PopTop. There are 59 train types and 34 cargo types in the game. The newest locomotives are listed at the top. If you were wondering what the 4-8-4, etc. means its a way of listing the how the wheels are aligned (4 lead wheels, 8 driving wheels, and 4 trailing wheels). 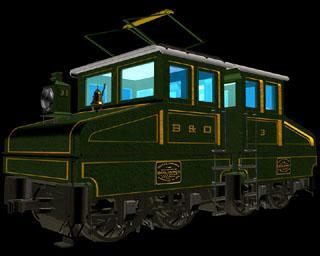 The first American mainline electric locomotive, B&O's B+B No.3. In service in Baltimore in 1895 in the Howard St. tunnel. The Consolidation. In 1888 it became the premier freight hauler. The Mogul. In 1895 the Mogul style locomotive brought increased pulling power back to the six drive wheel models. The GG-1. An electric powerhouse, the GG-1 was in service from 1935 well into the 70's. The A-4 Mallard. Set a world speed record for steam on July 3, 1938 reaching 125 mph. (200 pH.) in the U.K. The F-9. Slightly more powerful than the F-7. This series became a model for diesels world wide in the mid-50's. In 1939 the F3 a+b design was almost radical. It's ability to add booster "B" units allowed it to match any steam engine of the day. The Deutsche Bundesbahn's V200 diesel-hydraulic, in 1953 it had one of the best power-to-weight ratios in Europe. The train the west romanticized. The "Big Boys" 4-8-8-4 Steam Locomotive built from 1941- 44 by the American Locomotive Company. An electric joy from our alpine friends.